Since starting this blog I have started to pay more attention to the ways I wear pieces in my closet as well as what pieces might enhance what I already have. It's very easy to get into a rhythm in the mornings where you've put on your pants and shirt, and think to yourself, "okay, that's it right? This is the minimum amount of clothes I need to be wearing to be considered 'outfitted' for the day." Writing this blog has made me start to color outside of the lines more with what makes me feel the most complete and ready to start the day. 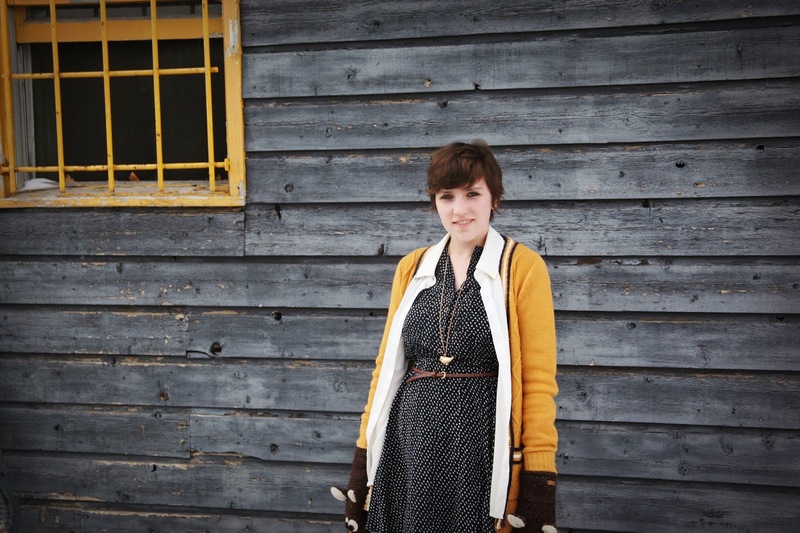 I don't think that prior to blogging I would have layered a cardigan over a button down. I probably would have told myself to choose one or the other, and move on. No, my friends! Be bold! Go for that extra bit of crazy (also helpful if all the colors and patterns match, but you know, do your thing)! 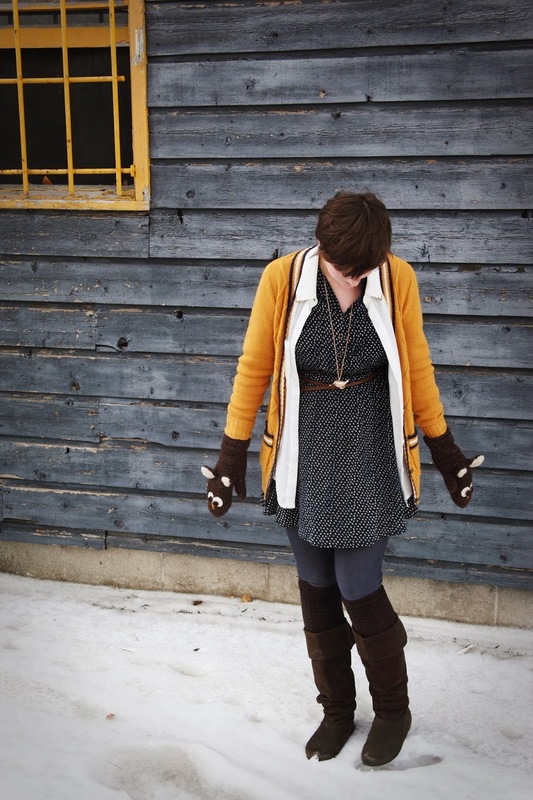 Moral of today's story: don't be afraid to use more than one layering piece in an outfit. Actually, in all honesty, I'm wearing four layers on top in this outfit if you count the undershirt. I think that it's always good to go too far with an outfit, and keep checking yourself to make sure its all working. If you keep going and then you realize it's getting to be a bit much, then you've just discovered your breaking point of too many pieces and you can edit down from there. Forever 21 Lighting Bolt Dress. I've had this dress for over a year now, and it continues to be one of my faves. I love the cute print and the (not pictured) cuffed sleeves. Forever 21 white Chiffon Shirt. 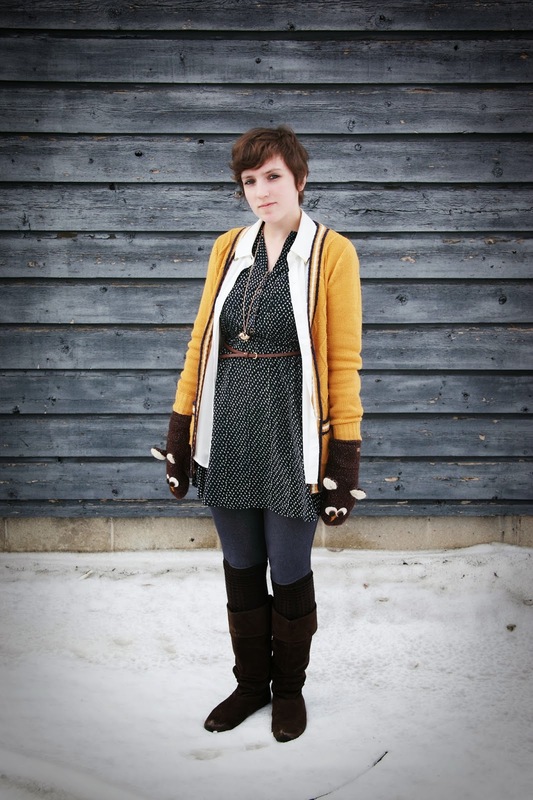 A great layering piece for dresses and also scratchy sweaters! 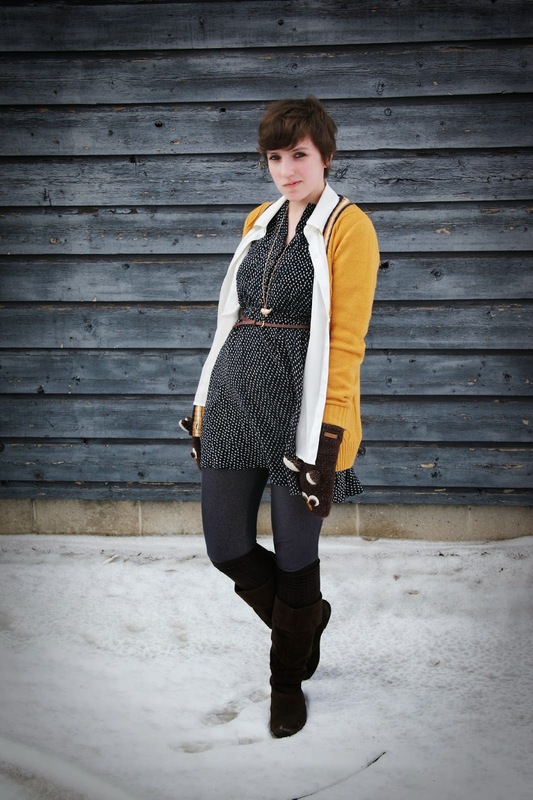 Forever 21 goldenrod cardigan. The perfect pop to an otherwise blue and white outfit. 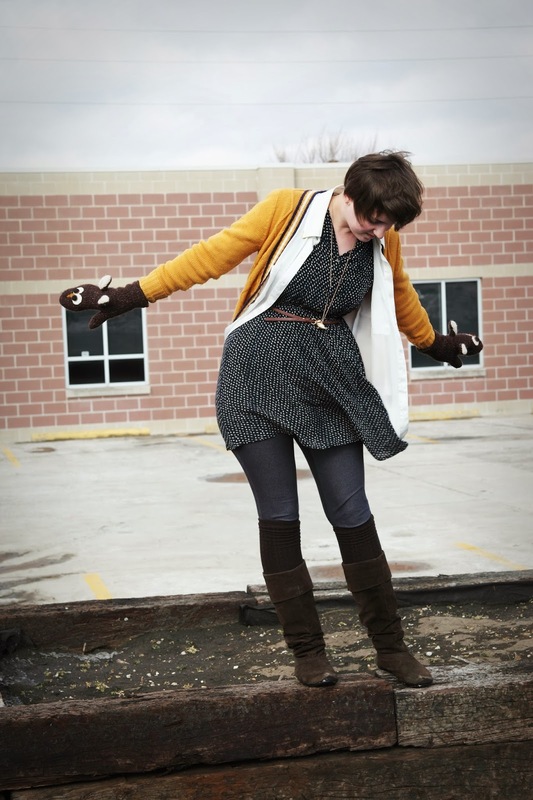 I love adding the goldenrod color to outfits. 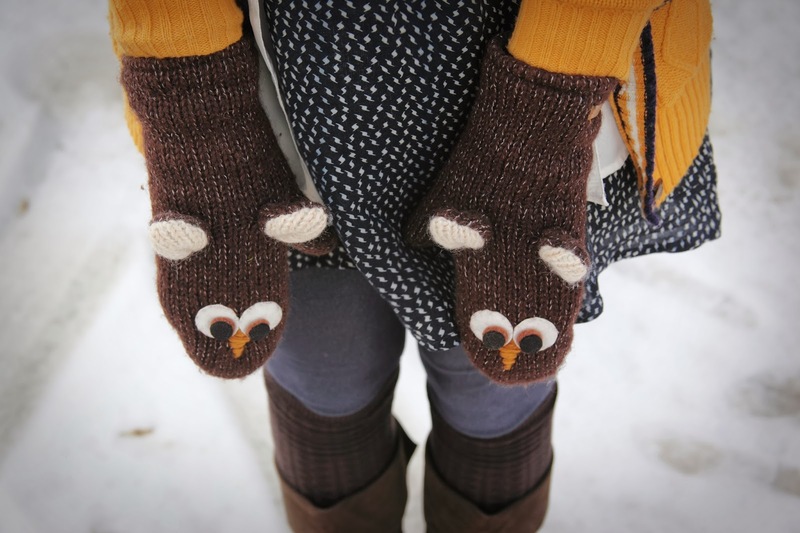 DeLux owl mittens. Drew got these for me a few years back, and I love them! 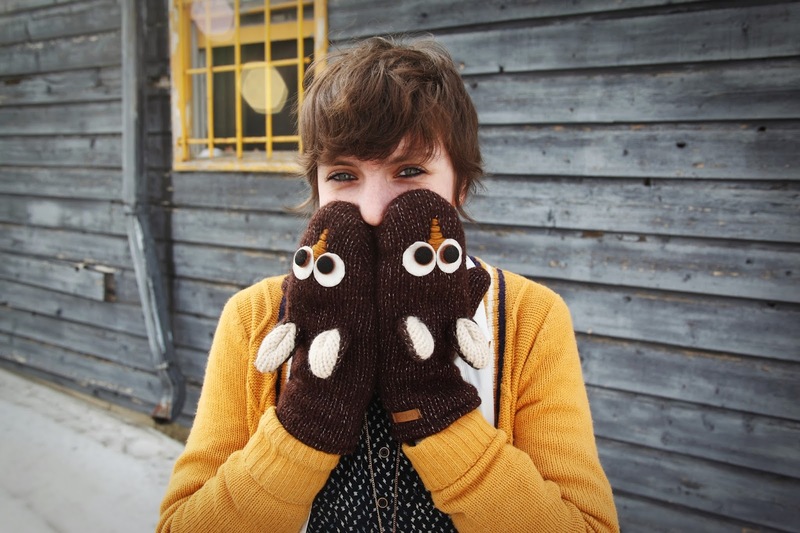 They have so much personality, and they're owls, so clearly I'm in love! 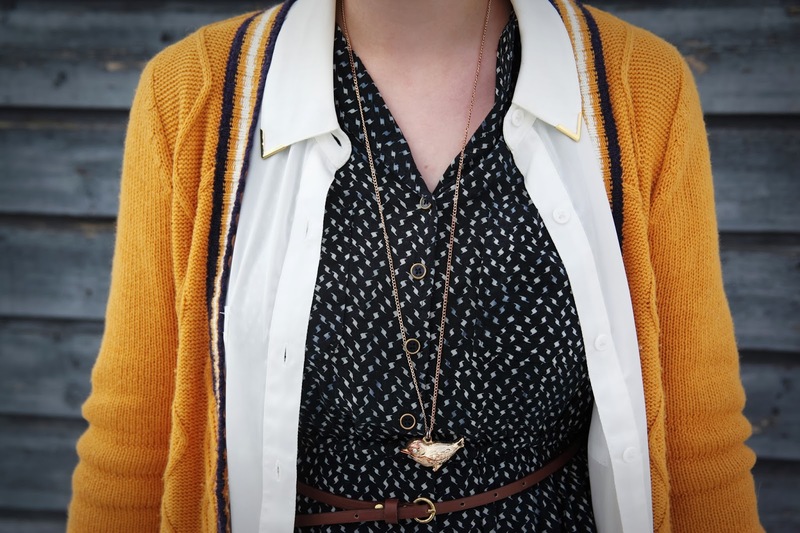 Forever 21 Bird Locket necklace. Forever 21 over the knee socks.